Acxiom® announced that Nada Stirratt will step down as Chief Revenue Officer to pursue other opportunities. Ms. Stirratt’s resignation is effective March 31, 2015, the end of the Company’s current fiscal year. Until that time, she will assist the Company in the transitioning of her responsibilities. 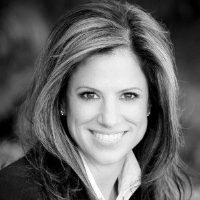 Ms. Stirratt joined Acxiom in 2012 as Chief Revenue Officer and Executive Vice President. Acxiom CEO Scott Howe will lead the sales organization until a permanent replacement has been hired. The Company has engaged a recruiting firm to assist in the search for candidates.